We had family staying over New Year which seemed like the perfect time to try out Telestrations and Catchphrase from Ideal Games. 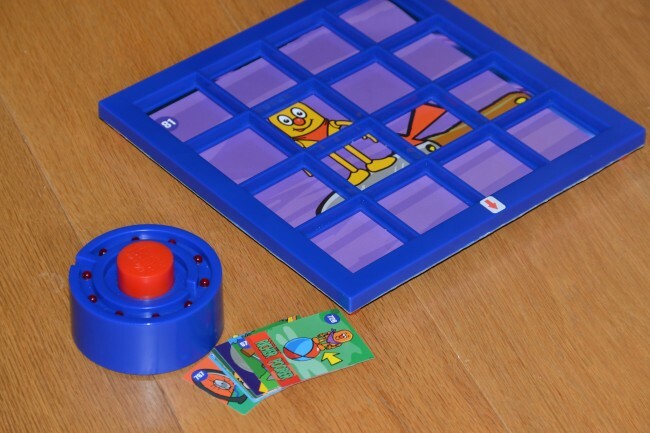 Catchphrase is based on the game show, you guess the phrase using the pictures on cards. The games works best played in teams with a separate question master. All players are shown the small game card at the same time, players press the timer button when they want to guess and are given points depending on how fast they are. If a player is incorrect, play passes to the other team and so on till the time runs out. After each correct guess the team has another minute to guess the big catchphrase after the question master has removed a square. We played catchphrase three nights in a row, which shows how much fun we had. The only complaint was that the small cards are too small, especially as some players were always looking at the card the wrong way depending on where they were sat. If the cards were a little bigger it would make a big difference. All in all we’d definitely recommend catchphrase, we had players ranging from age 24 to almost 60 and all enjoyed playing. 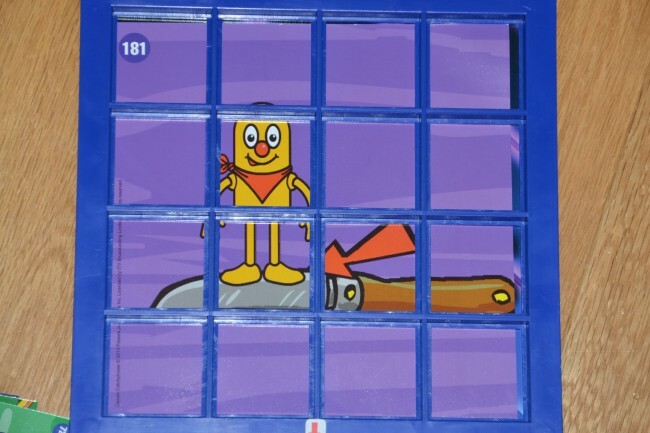 Can you guess the catchphrase? We started to play this one after a few drinks and couldn’t get the hang of it, but when we came back it the next day, all become clear. The name comes from Tele ( the telephone chinese whispers type game ) and strations from Illustrations. 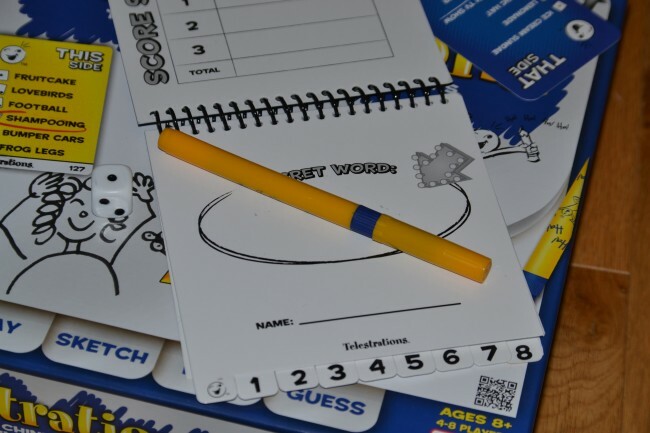 The games come with 8 very cool erasable sketch books, dry erase markers, cloths, play cards and a timer. The quality of everything is great, we were very impressed. Each round takes about 15 minutes and is hilarious. Each player starts with their own erasable sketch book, dry-erase marker and a word card. Everyone draws their word before the time runs out and then passes the book to their left, that player guesses the word and passes again. The next player looks at the previous players guess and draws the guess. It carries on until the book gets back to the person who started with it. The results are very funny! Both games are great for grown-up party nights. We were sent the games above for the purpose of this review.